Closed for Lunch from 1PM to 2PM. Stiofan Fitzpatrick Solicitors are committed to offering a high quality conveyancing service at an extremely at an unbeatable price. Our commitment to you - in respect of all aspects of the service - is set out below. Your phone calls will be returned. You will be kept in regular touch with progress, either by letter, phone call, email or text according to your choice. We will use plain English. We will not use technical jargon without explaining it to you. Telephone calls, faxes and e-mails will be answered on the same working day or, if this is not possible, on the next working day. You will be informed promptly and in advance of any unusual or unanticipated expenses/delays. All communications from third parties (such as solicitors, estate agents etc) will be responded to promptly. Stiofan Fitzpatrick Solicitors are experts in dealing with all types of criminal offence, including Road Traffic Offences. We handle all criminal law matters in a sensitive, efficient and professional manner, keeping clients informed at every stage of the process. We work hard to obtain the best result possible for those we represent by influencing and challenging decisions from the first stage of a Garda station enquiry through to any subsequent trial and sentence. We undertake private paying and publicly funded (Legal Aid) work and offer a free initial consultation. If you or someone you know are arrested or are being asked to answer questions from the Gardai, it is vital that you have the very best representation from the earliest possible time. What you say and what you do in that interview can have significant impact on any subsequent criminal proceedings in. We will provide prompt help, advice and attendance. At Stiofan Fitzpatrick Solicitors we understand the immediate need of businesses to maintain a steady Cash flow and to ensure the prompt payment of debts. In the current economic climate, survival of a business requires efficient Debt Collection procedures. If debts are outstanding for more than three months we recommend that clients use our services to ensure that an outstanding debt does not become a bad debt. We can assist clients, whether large or small, in achieving this aim on a cost effective basis by means of our debt collection team. Once a demand letter is ignored we aim to obtain a Judgment for our clients so that they can enforce the Judgment and in order that our clients get ahead of unsecured creditors. We have a transparent Fee Structure and keep our clients informed with regular updates and we operate a "no surprises" policy by advising our clients in advance of any costs risk so that an informed decision can be made about proceeding with legal action. Although not a requirement, it is best practice to give a debtor one final opportunity to make payment or make a proposal. This letter will warn that legal proceedings will be issued unless payment is received within fourteen days. If a satisfactory response has not been received in that period, proceedings can be issued in either the District Court (up to Eur6,348.50), Circuit Court (Eur6,348.50 up to Eur38,091) or High Court (above Eur38,091), depending on the amount of the debt. The proceedings will either be defended, in which case a Judge will decide it there is a valid claim or not, or ignored in which case the creditor can seek judgment in default of Appearance or in default of Defence provided service can be proved to the satisfaction of the relevant court office. If no response is given or a Judge deems there to be a valid claim for monies owed, then a judgment against the debtor is issued by the relevant court office, for the amount of the debt plus costs. The Judgment Creditor has a number of options to enforce the judgment. These Orders are available where a third party owes money to the Debtor. The Court can order the third party to pay the money to the judgment creditor instead of the Debtor. Garnishee Order can be obtained where the debt is already due to the Debtor but not yet paid by the third party. Receiver by way of Equitable Execution - This is where the money will become due in the future by the third party to the Debtor. This judgment can be registered as a mortgage over any land or property owned or part owned by the debtor. It prevents the property being sold and you have the right to have the property sold off and the proceeds used to pay the debt. A judgment mortgage can entitle a judgment creditor to apply to court to have the property sold to enable the debt to be discharged. All judgments will then appear accordingly in the Gazettes of the Dun & Bradstreet (Stubb's) and the Irish Trade Protection Association (ITPA). The Sheriff will attempt to seize debtor's assets to the value of the money owed. An application is made to the District Court regardless of the size of the Judgment for the Debtor to be examined as to his means and the Court is entitled to make an order requiring the debt to be discharged in installments, usually on a mConveyancingonthly basis. An application is made to the District Court for the Committal of the Debtor to prison for failure to comply with an Installment Order. This applies only when the debtor is an individual and the debt is very large. It usually means that the debtor will lose everything he/she owns. The Judgment Creditor may petition the High Court to request the winding-up of the debtor company and that a liquidator be appointed. The Liquidator must then sell all the assets of the company and distribute the proceeds to the creditors. Call now and we will arrange a free appointment to discuss your individual case and available options. Representation at Employment Appeals Tribunal, Labour Court, Equality Tribunal. Drafting and reviewing employment agreements, executive/directors? service contracts, personnel policies and procedures including grievance and disciplinary procedures, bullying and harassment policies, email/internet use policies, staff handbooks and general employment advice to employers. Advice on all aspects of employment legislation including unfair dismissal, redundancy, working time and holidays, protective leave, and health and safety. Advice and representation in relation to employment disputes including unfair dismissal and other statutory claims, civil court claims including breach of contract and wrongful dismissal, dismissal injunctions, restraint of trade injunctions, negotiation of agreed terminations and executive severance packages, representation at Labour Court and Rights Commissioner hearings. Advice on all aspects of trade disputes including strikes and other forms of industrial action, injunctions in the context of strikes or industrial action, claims under the Industrial Relations Acts. Contractual working including part-time work, fixed-term work, agency work, job sharing, flexible working arrangements, e-working. Immigration law including advice on obtaining work permits and work authorisations. Conducting disciplinary processes, appeal hearings and internal investigations such as bullying and harassment issues. Discrimination, equal pay, employment equality and diversity issues, claims under the Employment Equality Act, 1998 and the Equal Status Act, 2000. Employees and Employers contact us now for your initial free consultation in relation to any of the above matters. If you find that your marriage is in difficulty you're not any different to the thousands of others who are going through the same anxiety and you're certainly not alone. You may well be worried about the future, fearful for your finances, concerned for your home and your children. You may want to initiate proceedings to end an unhappy relationship or you may be on the receiving end of legal proceedings from your partner. In either case, you will need expert help. Contact us for your initial free and confidential consultation. Contact us today for to arrange a free consultation on any of the above topics. Advising tenants on a new lease. Following your free consultation we will give you an indication on costs. We have extensive experience of litigation and court proceedings from the District Court to the Supreme Court. If you think you may need advice on any of the matters mentioned above, please arrange a free consultation and we can advise you on your entitlements or remedies. Call now and arrange a free consultation. You may well be able to claim compensation for the injuries that you have sustained and any losses you may have incurred. At Stiofan Fitzpatrick Solicitors, we focus on the human element of every case and we make every effort to ensure that individuals achieve the best possible outcome that the law will permit. Your welfare is our priority and we are committed to acting in your best interest at all times. We offer a free initial consultation, we use plain language and we provide practical and impartial advice through every stage of the claims process. Initial consultations are free of charge and without obligation and during this first interview we will take the details of your accident and injuries and answer any questions you may have. We will weigh up your claim immediately and if you have a valid claim for personal injury compensation, we will inform you of your options. It is very important that your claim is presented fully and comprehensively so that you receive the full level of compensation to which you are entitled and we have the experience to do this for you. If you have suffered injury, loss, damage or expense as a result of the negligent act of omission of another party, then you may be entitled to compensation from that other party or his/her insurers. It is important to note that many valid claims are never brought because an injured party feels the accident was his own fault, whereas the primary cause of the accident may well rest with some other party, and the injured party's own carelessness may only have been a contributing factor. In such cases the courts may apportion Liability. It is therefore always advisable to consult a solicitor concerning any injury resulting from an accident. Since recent times all such claims (with some small exceptions) must now be made through the Personal Injuries Assessment Board (now known as the Injuries Board) initially, who will assess the matter. We will present your case to the Injuries Board in the best light possible to obtain compensation. The Injuries Board will then notify the other side of the application. The other side has the option of consenting to the Injuries Board Assessment Procedure, or of declining. If they decline, then the Board take no further part, and we will then issue Court Proceedings for compensation for your injuries, loss, damage and expense. If the other side consent to the Assessment, then the Board will consider your application as furnished including the medical reports furnished by both sides, and possibly any independent medical reports commissioned. The Board will then produce an assessment of the claim. There is no oral hearing. If you are willing to accept this Assessment and provided the other side are willing to pay it, then this is the end of the matter. However if either you or the other side does not accept the Assessment, then the claim will proceed under the former system of Court Litigation, for compensation for your injuries as well as to recover loss of earnings, medical expenses and any other expense incurred as a result of the injuries. At Stiofan Fitzpatrick, Solicitors, we have extensive experience of guiding clients through the process of claiming compensation for personal injuries*. Subject to certain very strict exceptions, you have two years from the date of your accident to commence legal proceedings for compensation. If this period has expired, even by one day, then your claim is Statute Barred from proceeding. In should be noted that it can take time to have legal proceedings issued so you should not leave it until the last few weeks before expiry of the statute before instructing your solicitor in the matter. 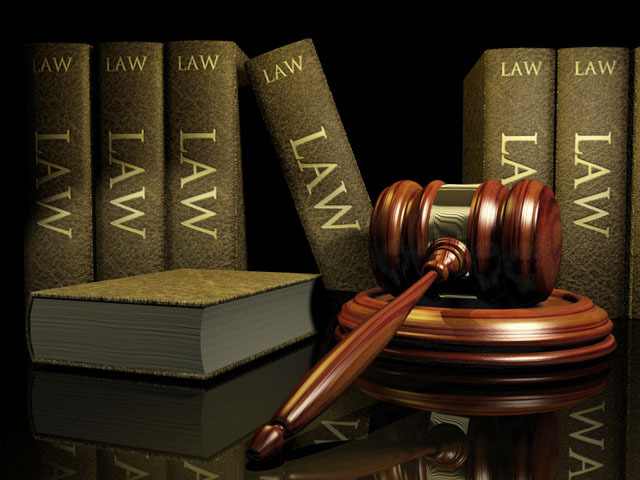 The above is a brief synopsis of this complex area of law and it is very important if you feel that you have suffered an injury that you should be compensated for, to contact us immediately to avail of your Free consultation, so that we can assess your claim and guide you through the process so as to best achieve the highest amount of compensation to which you are entitled. You can leave your property, money and other assets to the people you want. Without a will, the law takes over, which could mean family, friends or charities would miss out altogether. You can choose your children's guardian. Your children's future is protected if you choose a legal guardian to be responsible for their upbringing in the event of your death. You need to get the person's permission before nominating them, of course. If you don't specify anyone, it will be left to surviving relatives to sort out who looks after your children, and it may be someone you would never have chosen yourself or there may be a dispute as to who should look after your children. It is also important to give the guardians powers to deal with your assets in order that there is sufficient resources to pay for your children's living and educational expenses. Your partner may benefit. Unmarried partners cannot inherit from each other unless there's a will. Your partner could end up with nothing. You can ensure your will is tax efficient. This is important if you've got a lot to leave, and it'll safeguard the money that goes to your family. The age of 18 is very young to inherit. In contrast most wills seek to increase the age of inheritance to 21. Failure to plan your affairs in the form of a will can have unhappy consequences for your family and loved ones. Even if you have no close family, it is no reason not to make a will as should you die without a will and in the event of no next of kin being traced your estate would go to the State. Making a will allows you to choose your own executor, the person who will wind up your estate and deal with your affairs after your death. The appointment Conveyancing of your executor is important as they must ensure that your estate is distributed as per your will instructions. If you do not appoint an executor, beneficiaries administer the estate of the deceased; they may not be suitable to deal with large sums of money or in some cases a business. A will enables you to decide how your body will be dealt with after death � cremated or buried and the type of funeral service and whether your body parts can be used for medical purposes. We make preparation of a will a quick and straightforward process regardless of your circumstances giving you and your loved ones peace of mind now and in the future. We also provide a full service with regard to the administration of estates after death, in a calm and assuring manner to take the stress out of what is always a difficult process for any family to endure. If a will has been made it must be proved to be a valid will by submitting an application to The Probate Office. This is known as "extracting a Grant Of Probate". If there is no will made then an Administrator must apply to the Probate Office to be appointed Administrator and this is known as "extracting a Grant of Administration". A Tax Return must also be made to the Revenue. Make an appointment to discuss your options immediately.